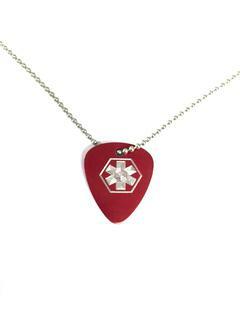 Our new 3D look Guitar Pick medical id alert necklace is not only fun, but also a unique medical necklace that is perfect for boys, girls as well as adults. 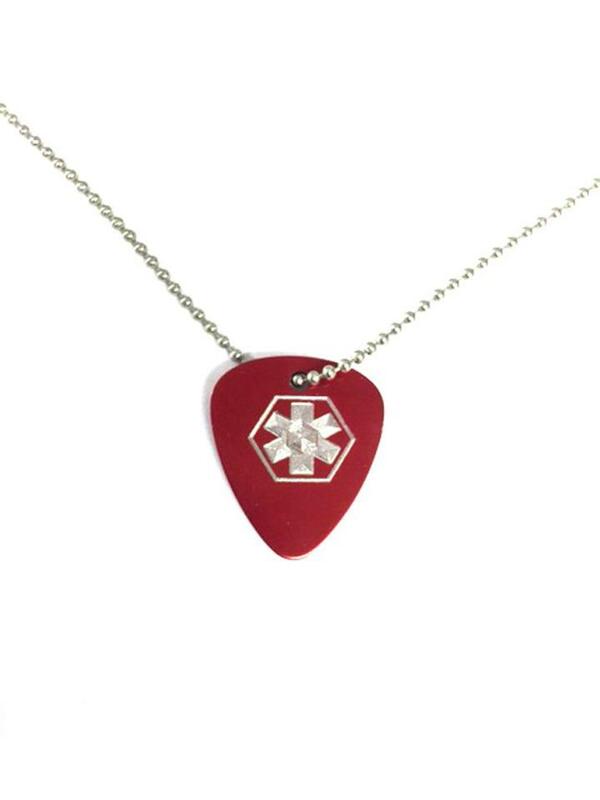 Our new fun stylish guitar pick medical alert jewelry necklace is anodized aluminum, measures 1 5/16 x 1 1/8" and is available is your choice of colors. The medical alert symbol has a 3D look to it and is so awesome.